This useful handout gives students plenty of sentence starters to use in their own writing about their town. 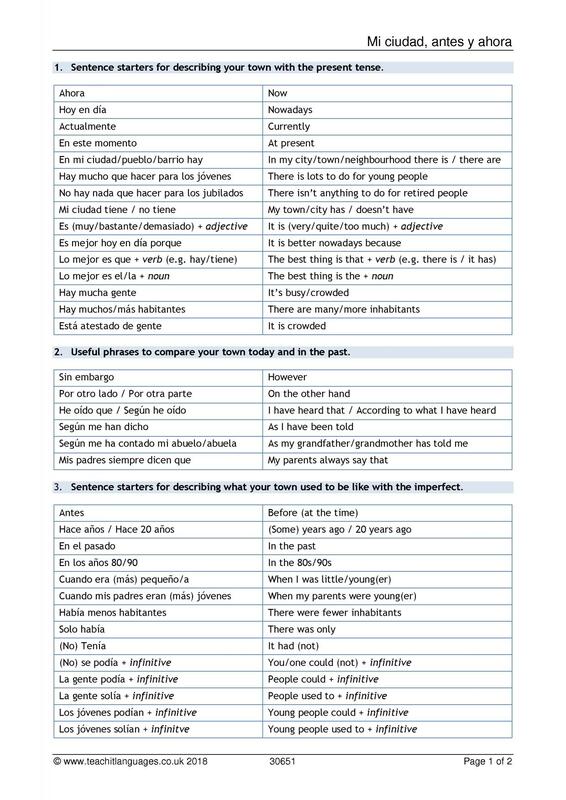 It also recaps the formation and uses of the imperfect tense as a handy reference sheet. Excellent resource and easy to follow for students to understand better the use of this important Spanish tense. Thank you very much!